A little lamb is now calling a police station in Western Australia home. 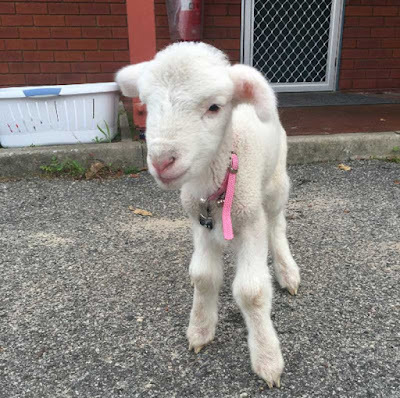 The orphaned six-day-old lamb is keeping warm in a washing basket under Senior Constable Emma McNaboe's desk at Mundaring police station after he was found abandoned on her property near York, in WA's wheatbelt, earlier this week. McNaboe said she takes the little lamb, named Buck, into work every day to make sure he's adequately fed. 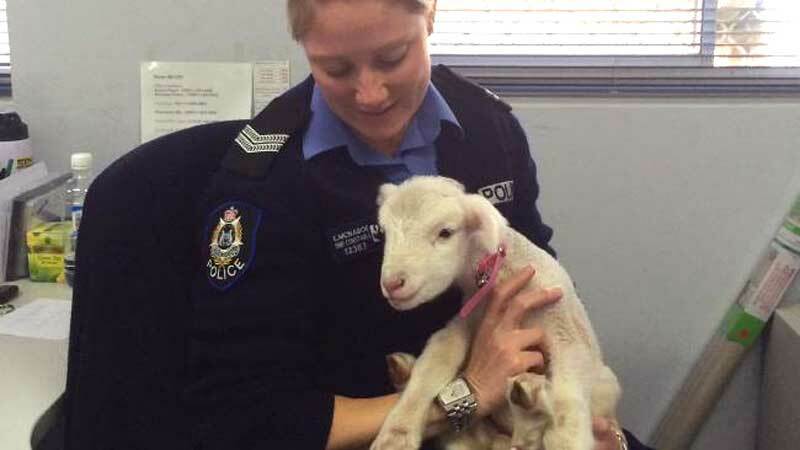 Buck was relatively well behaved for a new recruit, she said. "If he's left on his own he starts baaing and jumps out of the basket to look for someone, but he's pretty good. "Buck's in the office at the moment and I've got a little lead set up for him outside on the grass area." McNaboe said she would keep Buck on her property once he was fully grown. 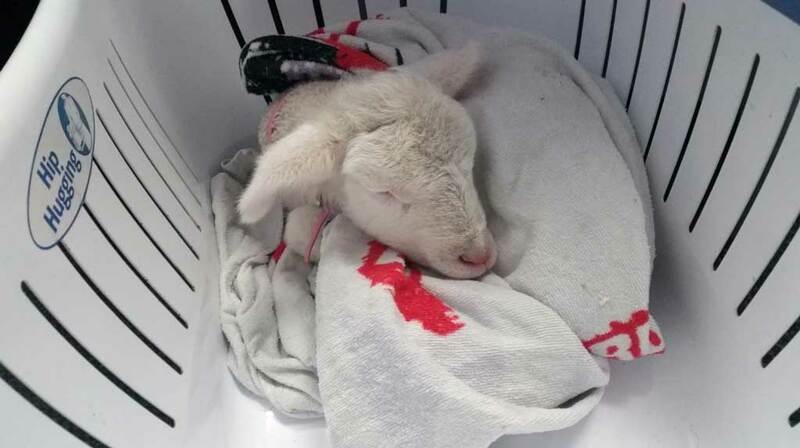 "Either way he'll be with us for the long run - we're not going to eat him or anything."